Nothing like musical chairs, CrossFit Style! 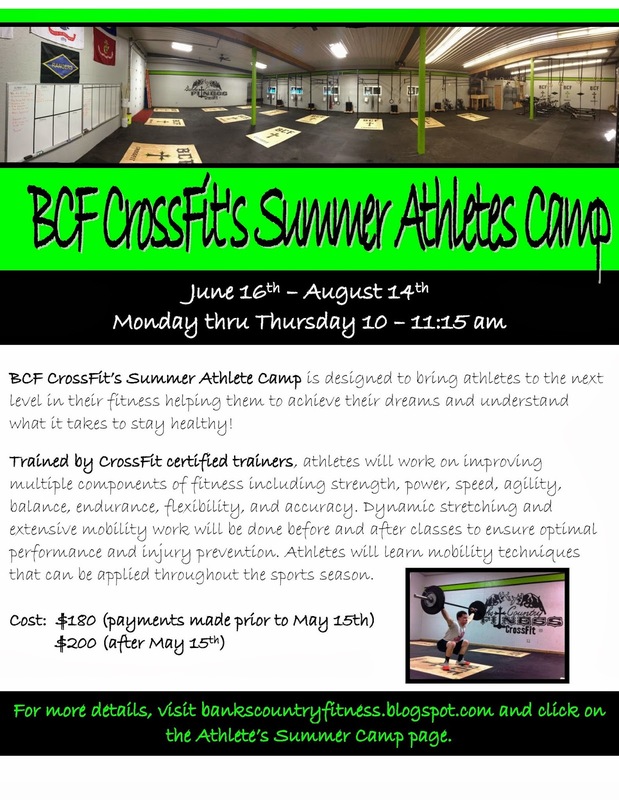 BCF is offering a fantastic Spring Special that will get you ready for your summer shorts and tanks. Not only will you get that body back on track but you will become a member of our CrossFit family. Come check us out and see if this is the place for you! Sign-up today and get 2 months of unlimited CrossFit classes for $120, that's a savings of $70! What do you have to lose? The hardest part is to start, so don't delay! Get in here and find out what we are all about! A Community that SWEATS together STAYS together! Space is limited and filling up fast. Having a little fun with the bench press...boys will be boys! I started doing CrossFit in July 2012 while BCF was still operating out of the high school gym in Banks before it was known as Banks Country Fitness CrossFit. I’m proud to think that I’m a founding member, I’m kinda nostalgic like that. I heard about CrossFit from my daughter Ally. “This is fun!” she said, “You’ll love it”, she said, “it’s called a WOD”, she said. “What the heehaw is a WOD?” I said. Sounds like something you get after eating a bad Lebanese dinner. But after 20 years Ally has come to know me well, and well, I did love it. I loved it like a pre-diabetic loves a donut. Yes, I was hooked! Most of us have probably had conventional gym memberships and I’m no different. I’ve had several. Unfortunately I haven’t had any that made any real differences in my physique, stamina or overall health. Even more frustrating is that I haven’t owned any gym membership where anyone knew my name let alone know when I missed a class or two, or three. There are many things I like about CrossFit such as how I feel, how I look, etc. But what I love about CrossFit the most is all of you: the people, the community spirit, the camaraderie. When YOU cheer me on because I’m sweating like a Samoan I’m more likely to be there tomorrow, and the next day, and the next day, and the next day. Someone once told me that the strongest bonds are built between people when they endure hardships together. If that’s the case then we must be blood brothers, or sweat brothers, or body odor brothers or something because we endure some great hardships Monday thru Saturday at either the 5:45, 8:00, 9:00, 4:30, 5:30, or 6:30 class – TOGETHER. Heck, I feel closer to all of you then I do some of the people I’ve worked with for years and I don’t even know some of your first names. Never the less my blood brothers and sisters is what I LOVE about CrossFit!! Last year I sustained multiple small injuries that turned into some major issues and I ended up walking out of the box for about 4 months. Leaving the box was difficult, but coming back was even harder. It was harder to come back because I knew that if I wanted to be successful I was going to have to change the way I approached CrossFit and exercise in general or I’d be out for good. Before I go any further though let me get one thing straight: CrossFit wasn’t the cause of my injuries. I was the cause of my injuries. They were all, all my fault because I wasn’t paying any attention to my body and was it was trying to tell me every time I worked out at BCF, or ran the Banks Linear Trail, or rode my horse. Prior to my hiatus from BCF my goal was to Rx every day, work harder than I did yesterday, and make gains daily. I would gauge my work out by how fast and hard everyone around me was working. 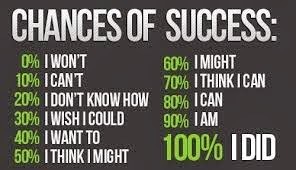 Don’t get me wrong, these aren’t necessarily bad motivational tools. You might watch the folks around you to gauge your own efforts, but for me it was contributing to my injuries and the potential for permanent damage, so my strategies absolutely needed to change if I wanted to take even one step back in the box. I was forced to create a few rules of workout just for me. · Rule #1: Don’t get hurt! If I’m sore from yesterday than I take care of myself so I can be back tomorrow. 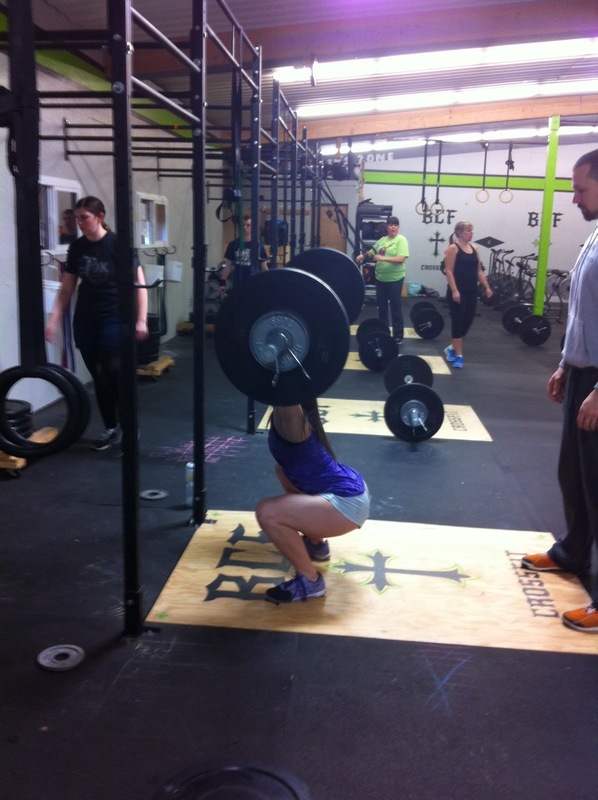 · Rule #2: Warm ups are for warming up, not for establishing my 1RM. See Rule #1. · Rule #3: Form First!!!! If you can’t do an overhead squat properly with ANY weight, then don’t add weight, even those measly push ups should have perfect form. Until my form is near perfect I should be scaling down. So again: See Rule #1. · Rule #5: Be present. I can’t make even small gains if I’m never there. · Rule #6: Just enjoy yourself. I try really hard to not “hate” certain lifts, WODs, or movements. That doesn’t mean that there are some I like more or less, but if I “hate” something I’m probably not having fun and let’s face it, it’s expensive to be here, so I might as well enjoy it. Everything that is except those bikes – I hate those damn bikes. By following a few very small “rules” and changing how I think I’ve made more gains in 5 or so months than I did the first year and half I was here. Who knew that taking care of oneself would pay off!!! Oh the madness! CrossFit has given me confidence, muscles, and friendships. CrossFit has given me endurance, pride in achievements, and the right to call myself an athlete. It’s also given me a few bruises and blisters to which I lovingly refer to as my war wounds. One last thing: I want our trainers to know how much I love you and respect you all, especially that cute little 19 yo Ally, she’s my favorite but I’m a little biased. Seriously, you’re all great to put up with crap from us every single day. You work your rear-ends off for our benefit and in turn we aren’t always the most respectful crowd back. Thank you for your commitment to us, your sacrifices for us, and your tremendous support… for us. Without you I couldn’t have gotten my first pull up this month, gained 15# on my OH squats, or have done a bar muscle up - assisted of course and darn proud of it, See Rule #1. Louisa getting ready to nail some Kipping Pull Ups after the WOD...We are so proud of you and everything you have accomplished!! Spring is here the sun is shining, the birds are chirping, and the big doors are coming open! Got to Love It! As promised, we are excited to let everyone know that with all of your support we raised over $300.00 to support two great causes! Feel good about knowing that you helped support finding a cure for blood cancers, as well as much needed technology for our local elementary school students. Awesome job everyone! Last week was no shoe Wednesday, so I am going to call today Soap Box Wednesday... I am so sick of watching adults and even worse our youth walking around with energy drinks consuming them like they are having a bottle of water after the mother of all WOD's. They might as well be carrying a sign above their head that reads Kidney Stones Please & Don't Forget My Side Order of Diabetes. Just one of a huge number of health risks caused by processed sugar is the risk of diabetes, a disease which has reached epidemic proportions in the U.S. Very large amounts of sugar can ultimately overwhelm the pancreas, the organ which generates insulin to offset sugar intake. If the pancreas becomes "worn out" by being overworked from too much sugar, diabetes can begin. Some energy drinks contain up to 7 times as much caffeine as a cup of coffee. While small amounts of caffeine are not generally considered dangerous, too much can over stimulate the central nervous system and can dangerously elevate blood pressure and heart rate. Caffeine is also addictive and withdrawal symptoms include headaches and irritability. Caffeine also causes a loss in valuable B vitamins which are needed for "normal"energy creation. I am not trying to sell you FitAid but if you look at the two articles above and then look at the side to side comparison you will see some major differences. Ultimately what you need is more sleep, better nutrition, and of course exercise!! But, if you are missing one of those components then please don't supplement them with energy drinks! Grab a FitAid out of our fridge or a cup of coffee! Besides, what good is it to work all those ridiculous hours if you end up in the hospital burning up sick days, vacation time, and your savings account!! We had a ton of PR's yesterday through out all the classes...As coaches we often spend all of our time working with our members and sometimes our own PR's slide under the rug. Ally has been working very hard the last few months and yesterday she PR'd in both her OH Squat and her Fran time. Nice Job young lady! If you weren't able to make it yesterday, please find a time this week to get these taken care of. Great job everyone! !